Creating trust in Sweden is an ambition that informs all SI activities. Our task is to communicate Sweden and Swedish skills, experience and values in a broad perspective. 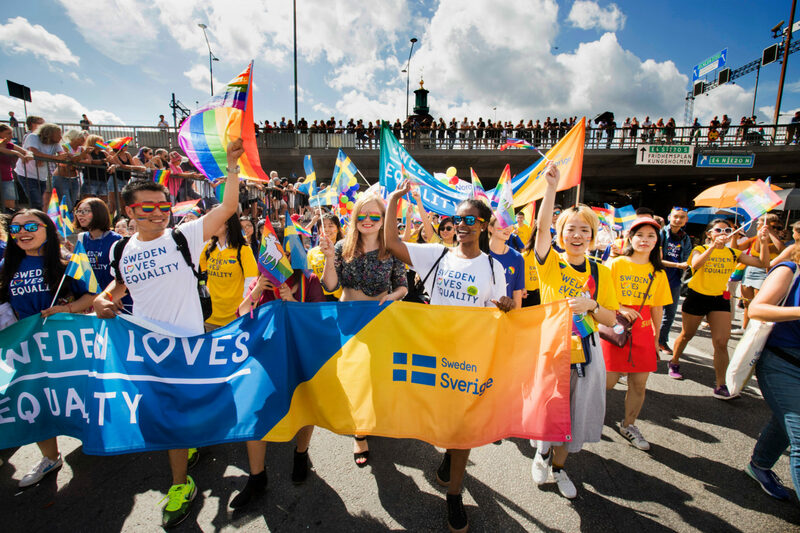 We highlight themes of relevance to both Sweden and the outside world, such as innovation, sustainability, culture and social issues, we offer tools and support to those wishing to communicate the story of Sweden. We engage in international cooperation through our own communication with target groups abroad and by providing support for other actors’ communication on the subject of Sweden. By constantly developing our communication and our support in terms of methodology, technology, form and content, we ensure that we are relevant to individuals and others wishing to act in international contexts. SI’s digital tools are constantly improving. We are in charge of the official Swedish website, sweden.se, and communicate in English, Chinese, Arabic and Russian. Social media channels are the hub of Sweden’s digital communication. You can find us on, for example, Facebook, Twitter, and Instagram. The channels are administered by Stockholm-based project managers closely familiar with the country concerned. Cooperation with local actors in both traditional and social media means that content of relevance to Sweden can be disseminated more widely. Sharing Sweden is a web platform with easily accessible material and toolkits that Swedish missions abroad and other actors can use to promote visibility and interest in Sweden as a country. The material is designed to reflect Sweden in a broad perspective, encompassing SI’s overarching themes of social development, innovation, culture and creativity and other relevant thematic issues in Swedish government policy, including a feminist foreign policy and Agenda 2030. Sharing Sweden offers everything from pre-packaged concepts, toolkits, fact sheets and books about Sweden to information about how people can work with the Sweden brand in their communication. Most of the material on the website is open to all and free to use. SI organises journalist visits for the purpose of heightening awareness of and interest in Sweden and also making the country more visible in foreign media. Such visits are arranged both on request, where the theme is decided in consultation with the missions abroad and media organisations, and at SI’s own initiative. This activity is a means of maximising the international impact of Swedish priority issues. One of the services at sweden.se, Media Room, offers productions of moving material that foreign media can freely download and use in their own channels. SI has discharged a number of assignments specifically intended to help implement the Government’s export strategy. One of them involves producing visitors’ programmes for target groups of international policymakers in fields of work that are crucial to sustainable social development, and also for groups dealing with innovation and entrepreneurship where Swedish skills are in demand. SHE Leads for example, is a leadership programme for female entrepreneurs or business-women in search of inspiration, tools and new ideas within entrepreneurship and innovation. The purpose of the programme is to empower the participants in their roles as leaders in businesses and as entrepreneurs. The programme follows SI’s mission to establish relations between Swedish partners and the decision-makers of tomorrow around the world. Every year, over 100,000 visitors access Swedish culture and education in one form or another via the Institut Suédois in Paris. This means we are one of the most popular foreign culture institutes in the French capital. SI Paris is also Sweden’s only cultural centre abroad. The Swedish Institute supports Swedish language teaching at foreign institutions of higher education. There are more than 225 of these in some 40 countries and about 18,000 students studying Swedish outside the Nordic area. On our website, Svenska språket i världen, you can find out about how we support language teachers and students abroad. You can also read articles in Swedish about the Swedish language.